One thing that I have promised myself for 2015 is to travel once a month, even if it’s down the street and around the corner. I’m sure many of you also enjoy traveling and want to hop on a plane and jet set to somewhere fun. Still need help deciding where to go and take that trip you’ve always dreamed of? 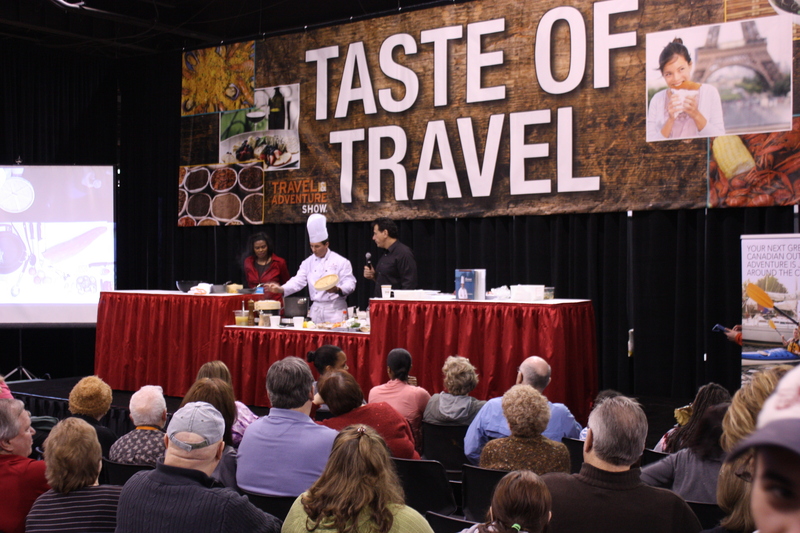 Look no further than attending the Los Angeles Travel & Adventure Show where you will travel the world in one weekend! In it’s 10th annual year, the largest show in the nation of its kind will bring thousands of travel options, international cuisine and culture all under one roof at the Long Beach Convention Center. Also, several celebrity travel experts will be speaking at the show including Samantha Brown, Rick Steves, Pauline Frommer, Peter Greenberg and Phil Keoghan. At the Los Angeles Travel & Adventure Show, attendees will find thousands of destination experts to help plan and customize vacations and give inside knowledge to help attendees travel like pros. Exhibitors will be available to give attendees details about travel and tours to destinations from around the world including Costa Rica, Europe, India, Mexico, Australia, Ireland, Japan, Hawwaii, Africa, Turkey, Thailand, and Alaska – all offering exclusive specials and trip giveaways. Guests of all ages can enjoy a variety of interactive, family-friendly activities including a rock climbing wall, a scuba pool, the Taste of Travel Stage – a culinary demonstration stage – and the Global Beats Stage, featuring cultural performances from around the world. New to this year will be the Savvy Traveler Stage, where visitors can learn the how-to tips on traveling smarter and hassle-free. Also new to the show is the Travel Product Pavilion, which will feature the newest and best must-have travel productsand gadgets. How about I send two lovely people to the travel show on me? That’s right, it’s time for a giveaway! I will pick one of my LA followers from Twitter and you will be notified by direct message. Winner will be chosen and notified by February 17th.